Theme is suitable for ANY type of shop, no matter which items you are selling. It will look beautiful for Fashion, Clothing, Fragrance, Shoes, Makeup, Accessories, Jewelry, Flowers, Sushi Food, Pizza, Cupcakes or any other type of eCommerce. “Sort by… filter” on collection page – Sort product list by newest products, by Price etc. Branding/ Logo - Upload your logo and favicon and show it on the regular pages and checkout page as well without any coding skills! 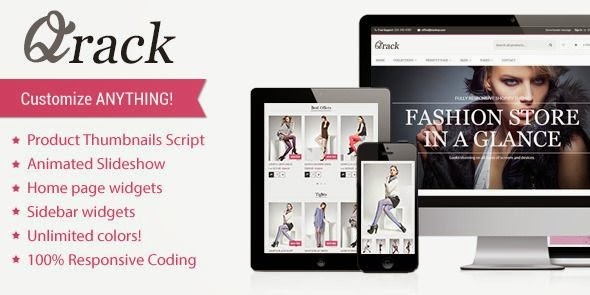 Item Reviewed: Qrack Multipurpose Responsive Shopify Theme 9 out of 10 based on 10 ratings. 9 user reviews.